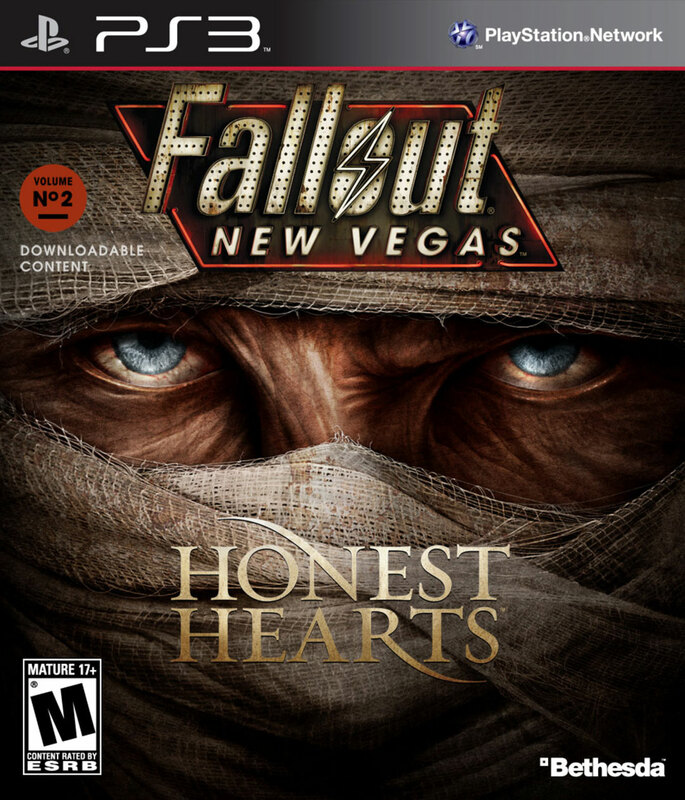 3 for Intelligence: Fallout: New Vegas Expansion: Honest Hearts - Quickie but worth a squirt. 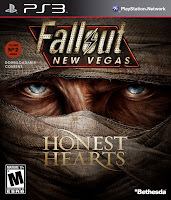 Fallout: New Vegas Expansion: Honest Hearts - Quickie but worth a squirt. During the course of my Fallout New Vegas addiction, I recall stories of the Burned Man, former Malpais Legate of the Legion who was disgraced at Hoover Dam by the NCR and then burned alive by Caesar. This expansion involves Joshua Graham, aka the Burned Man (though there is little reference to the Burned Man after the first opening scene). In about a weekend, I finished the game (it was less than a 500mb expansion download). Still, it was well worth the $10 as it held my attention the entire time (12 or so hours over two days). The heavies in the game were Daniel and Joshua Graham. Daniel is a pacifist while Joshua wants to kill the opposing "Legion Wannabes", the White Leg clan, to free Zion. The only noticeable new weapons in this expansion were the 12.7mm submachine gun and the survivalist rifle though I will now look for more weaponry on the net. Another was a fist weapon from the monster "She", a Yao Gao of epic proportions. I think the voice of Joshua Graham is Ron Perlman which made for an entertaining experience and the reason I followed Joshua Graham to the bloody end. The level cap is now 35 and I was able to train unarmed up to 85 to switch from long distance owning to upfront face smashing glory. I got this expansion first as it was rated better by a minuscule amount than Dead Money but I will check that out in a week or so.